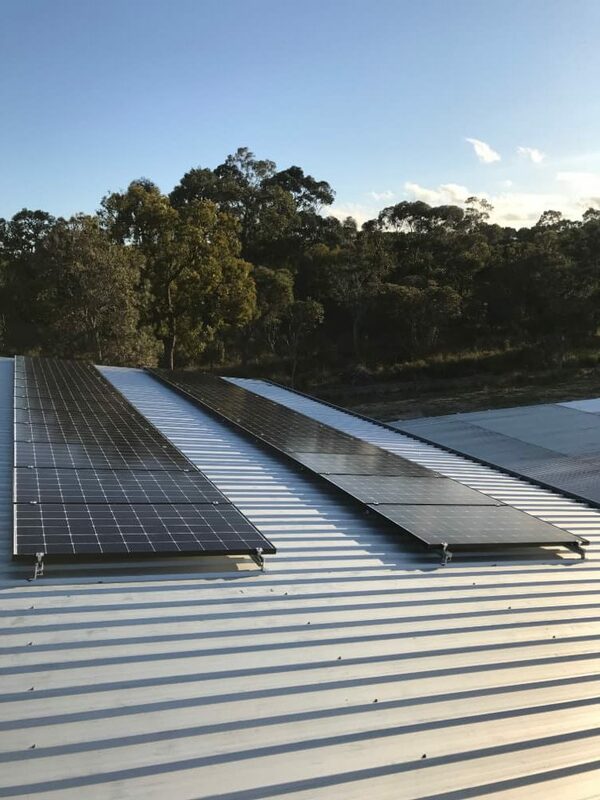 This is a 13.2KW array installed in a 10KW Fronius Symo Inverter, which was installed in a large inner-city home in Perth. This customer’s power bills were $1,600 per 2-month cycle and his goal was to reduce these bills down around $400 per cycle. 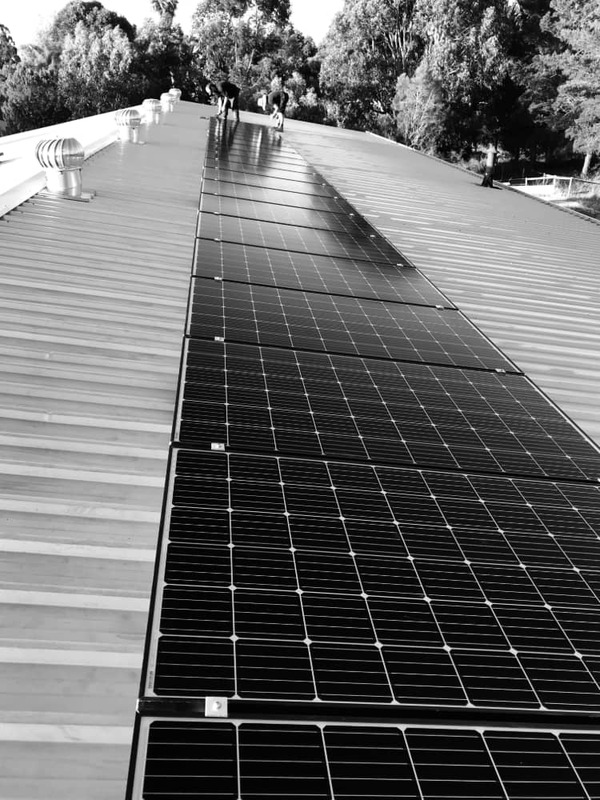 We installed Jinko Mono Perc 300W panels on a east-west orientation to provide good generation all day long. The array size (panels on the roof max generation capability) is over sized to the inverters maximum output capacity. This increases the number of hours per day that power is produced to the inverter’s max capability of 10KW. The black Mono Perc panels look amazing and have superb performance. In addition to the solar installation, we designed and installed an energy saving hot water system that is designed to capitalise the newly generated solar power. It comprises of a large storage HWS powered by an electric element on a timer to run and heat the 300L tank during sunlight hours. As an emergency backup, there is a quick recovery element installed on the top quarter of the tank that can run at any time of the day or night in the unlikely case that the 300L tank runs low on hot water. Space – Ensuring there is enough physical space to install the array and inverter/interters. In this case, space was not in issue. Orientation – Figuring out the best direction to face the solar panels in order to harvest the most energy from the sun. North is always good but east and west are good too. Sometimes a combination of different orientations is most beneficial, something we went with for this installation. Energy requirements – Determining household energy requirements so we can scale the installation appropriately. In this case, a lot of power was needed. Cable sizes – The surface area size of the supply cables will determine the maximum size inverter we can install in a home or business. We faced limits in this aspect of our installation as the cable needed to supply the rear shed. Budget – Capital outlay always plays a big role in decision making. However, a well-designed system will return your initial investment in a short time. The ROI of this project is as low as 2 years. Lifestyle – We each have different needs when it comes to power usage and goals installing solar. A critical part of the process is having an extensive discussion with customers about what they want to get out of their solar installation. 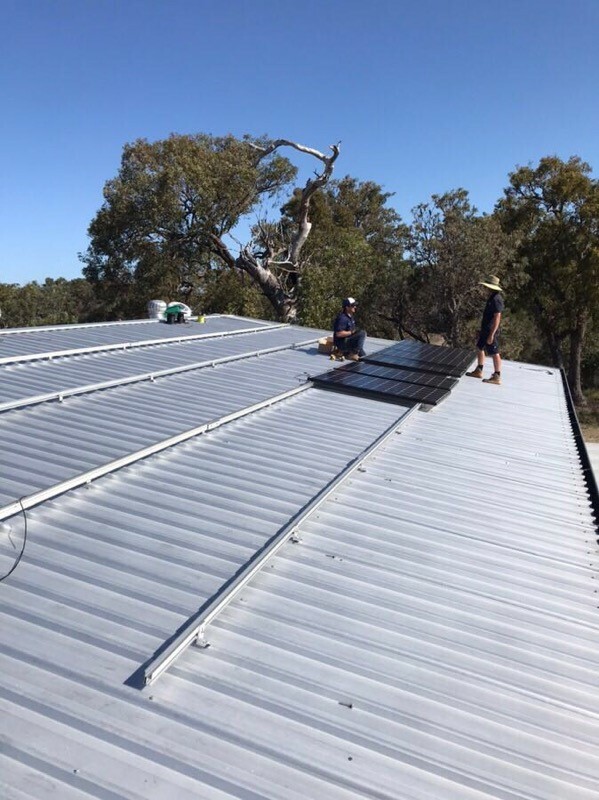 – The new system we installed is more energy efficient and works well with the solar installation to deliver a better hot water service at less cents to the dollar. Pool pump – We changed the pool pump settings to run only during daylight hours so it uses solar energy. Air conditioning – The AC is automatically set to run throughout the day to heat or cool the home, then switched off after the sun goes down (obviously it can still be used if the indoor temp is not comfortable).